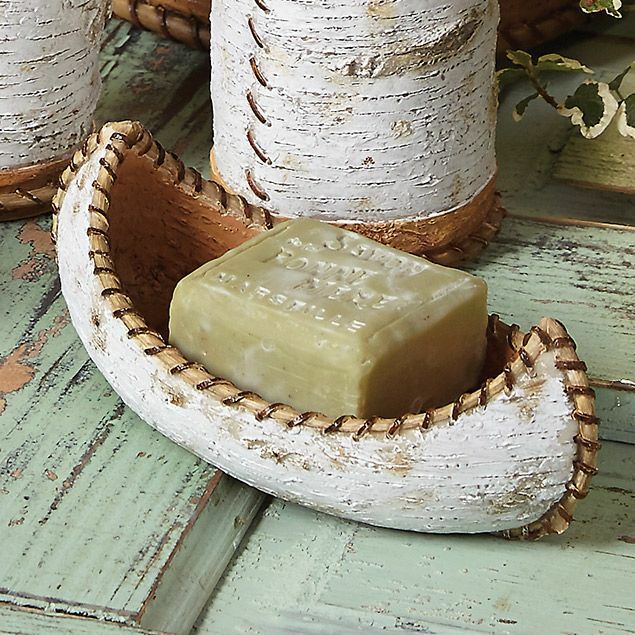 A Black Forest Décor Exclusive - Transform your bathroom into a wooded wonderland with this resin soap dish in a birch bark design. 6 3/4"W x 3 1/2"D x 2 1/2"H.
A Black Forest Décor Exclusive - Transform your bathroom into a wooded wonderland with this resin toothbrush holder in a birch bark design. 5"W x 3 1/7"D x 4 1/2"H.